Everyone from Zero Wing was incomparably excited, and they all began cheering loudly one after another. Throughout this entire war, n.o.body had expected them to win. Even the large Guilds watching from afar had long since made preparations to take advantage of Zero Wing's misfortune. Originally, other than Super Guilds, n.o.body else dared to oppose the Dragon-Phoenix Pavilion. However, they had dared. Moreover, they had even defeated the Dragon-Phoenix Pavilion. They had achieved a feat that no Guild had ever imagined was possible. "The Dragon-Phoenix Pavilion was actually defeated, just like that…"
The various large Guilds spectating this battle fell silent. Other than shock, everyone felt amazement. Despite the Dragon-Phoenix Pavilion's overwhelming power, in the end, all those elite players and frightening top-tier experts suffered defeat at the hands of a single NPC guard. "After we return, we must focus on developing our Guild's guards." Galaxy Past had an excited expression on his face as he watched the retreating members of the Dragon-Phoenix Pavilion. The true strength of a Super Guild was something no ordinary Guild could ever hope to comprehend. Only first-rate Guilds like them would know some secrets about Super Guilds. Although the opponent Zero Wing had defeated this time was not a Super Guild, the Dragon-Phoenix Pavilion's strength was already on a par with those Super Guilds'. Since Zero Wing could repel the attack of the Pavilion, it could naturally repel the attacks of Super Guilds as well. 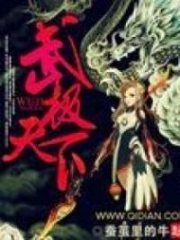 The first Guild capable of going toe-to-toe with the Dragon-Phoenix Pavilion would not be a first-rate Guild but a recently established Guild like Zero Wing, instead. However, this was still not the most exciting part. The most exciting part was that Zero Wing had shown everyone present the hope of contending against a Super Guild. In virtual reality games, the result of a war between Guilds usually depended on players. However, G.o.d's Domain was different. Here, NPC guards could also determine the outcome of a Guild War. In other words, the advantage a Super Guild possessed was no longer an insurmountable hurdle. If a Guild's players could not repel an attack, they could just fill the gap using NPCs. At this moment, Galaxy Past wasn't the only one planning to focus on nurturing his Guild's NPC guards. The upper managers of the various large Guilds had also grasped this point. They all had the notion of developing their NPCs once they returned. As long as their Guild Residences had an NPC like Kite protecting it, then their Guild Residences would be impregnable. That way, they could disregard those powerful Super Guilds. They could develop their Guilds however they pleased. Although the members of the Dragon-Phoenix Pavilion were swiftly withdrawing, Shi Feng had no intention of letting them off the hook. Instead, he immediately expanded on his victory, killing as many as Pavilion members as he could. Every player present was an elite or above. The quality of the equipment they wore on their bodies went without saying. 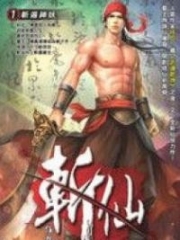 You're Read Reincarnation Of The Strongest Sword God Chapter 558 online at NovelOnlineFull.com. You can use the follow function to bookmark your favorite novel ( Only for registered users ). If you find any errors ( can't read,broken links, can't load photos, etc.. ), Please let us know so we can fix it as soon as possible. And when you start a conversation or debate about a certain topic with other people, please do not offend them just because you don't like their opinions. You're reading Reincarnation Of The Strongest Sword God. This manga has been translated by Updating. Author(s): Lucky Cat. Already has 3124 views. Current Time is 19-Apr-2019 01:04:55 AM.